Discussion in 'Off-topic Zone' started by Juggernaut, Feb 11, 2018. This thread is for general complaints, not specifically related to the Cowboys, which the forum provides a drama zone for and not website technical issues that should be submitted to the support zone. 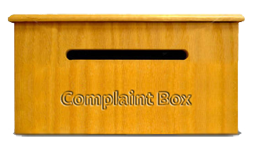 Please make sure all your complaints stay within the forum rules. With that all out of the way, what currently annoys you? LocimusPrime, Trouty and daboyzruleperiod like this. Complaint: It was the first weekend of the off season without any football. I use to be able to ignore the withdrawal by enjoying a new season of Game of Thrones every spring for 10 weeks, but last year they premiered season 7 in the middle of summer and that only lasted 7 weeks. Unfortunately season 8, the last season, premieres in 2019 and it will only provide a reprieve from the next off season for 6 weeks. Having the 2018 Olympic Winter Games on this off season helps a bit, but it is still a poor substitution for football. daboyzruleperiod and Runwildboys like this. Seven, SlammedZero, dogunwo and 5 others like this. Garrett and Jethro and taxes. Ranching, Longboysfan, lukin2006 and 1 other person like this. why the hell does the weekend go so fast...but the work week doesnt! oh...2 more complaints...espn and the news media in general. BillyBates, Seven, wrongway and 2 others like this. People. I don't think that I need to elaborate. I will add that I'd gleefully welcome alien or robot overlords who have no tolerance for shenanigans. SlammedZero, The Fonz and lukin2006 like this. Then the PJG would be forced to become the resistance! DeathMonkey and lukin2006 like this. Folks that don't use a turn signal. Better yet, the ones that do use one but don't put it on till they're actually turning. Rockport, Furboy, GhostOfPelluer and 8 others like this. Why else do you think I want it? It's no fun unless you get to be the resistance! Spoken like a true Black Ops agent! Melonfeud, Sarge, BillyBates and 6 others like this. My complaint? That box is too small. SlammedZero, The Fonz, Trouty and 4 others like this. Trouty, Juggernaut, DeathMonkey and 2 others like this. Should have known it'd be full of complaints! DeathMonkey and Juggernaut like this. Unlimited* .. when it's not really unlimited. Melonfeud, OmerV, The Fonz and 5 others like this. We want your opinions! .. when they really don't. Melonfeud, daboyzruleperiod, JoeKing and 6 others like this. Florida is trying to get rid of it. I am one that would rather have daylight hours later than earlier. I get more work done. If they change it how would TV watching work. NFL Football games would come on at 12 instead of 1 in the fall. I am old now. I complain about everything. The waitress did not acknowledge us after five minutes, "Let's Leave". OmerV, SlammedZero, Seven and 7 others like this.